96-02 57th Avenue, Queens NY. London Building, Section 1 (see map). 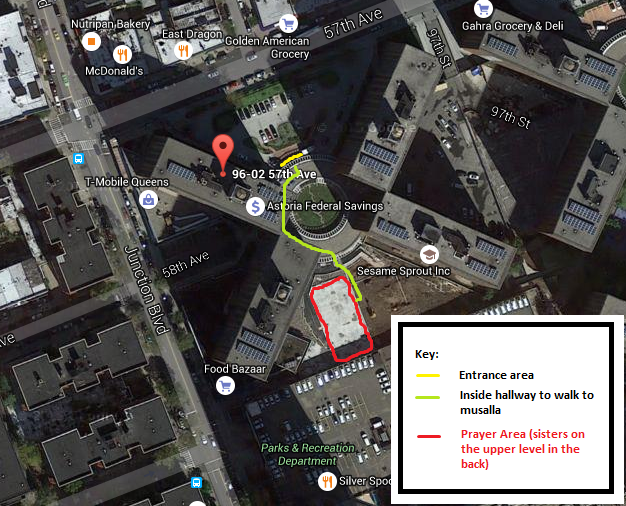 ‘Eid al-Aḍḥā Prayers 1436 (2015) Location. Due to the pope’s visit to the city, many roads may be closed. Please plan accordingly for traffic and delays. This entry was posted in Events and tagged 'eid, 'eid al-adha, 'Eid al-Adhaa, 'Eid Mubarak, Eid-ul-Adha on 2015-09-23 by Masjid Nur Allah.